SD card is very useful for us to store data. We can use it to store photos, documents and other kinds of files. Sometimes we’ll save some important files in SD card. If the important files are deleted from SD card by accident, it can be very frustrating. But no need to be panic. 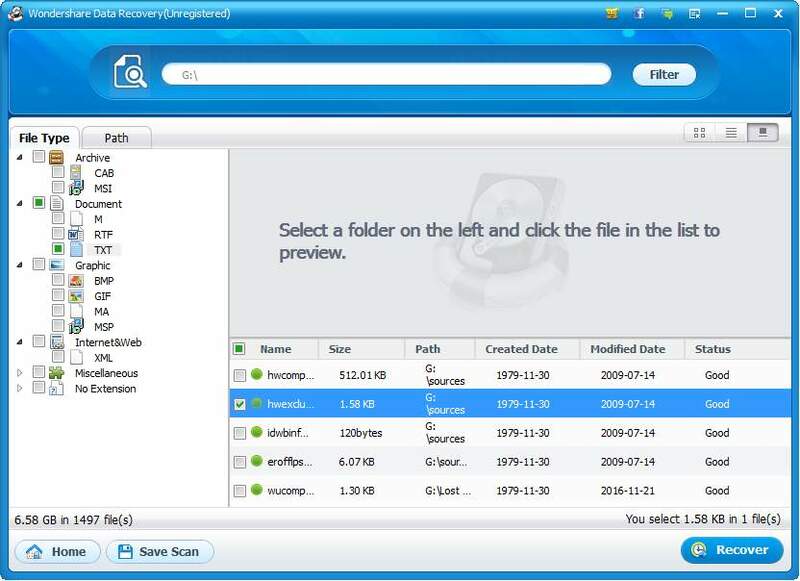 You can recover the deleted files easily with data recovery software. It is recommended that you use a program with good reputation. If you are not sure how to identify the better software, you can use Wondershare Data Recovery, which works on Windows 10,7, 8 & 8.1. 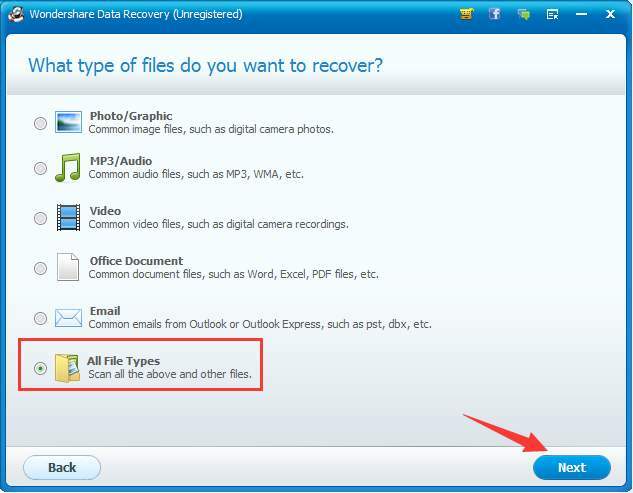 After opening Wondershare Data Recovery, you just need to follow the on-screen instructions to recover the files. Refer steps below to recover the deleted files from SD card. 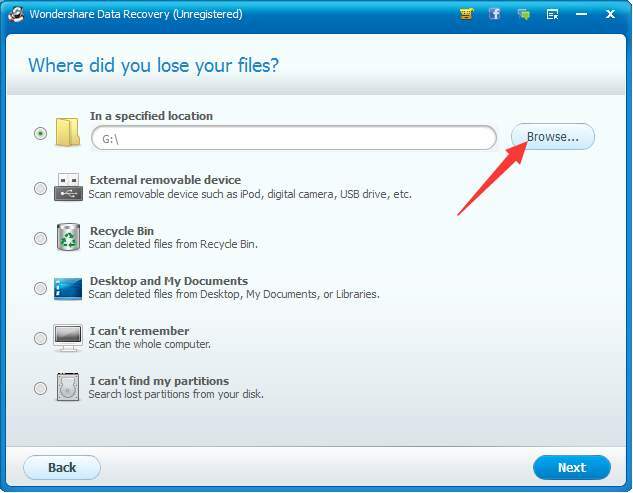 First, download and install Wondershare Data Recovery on your computer. 1. Plug the SD card to your computer. 2. 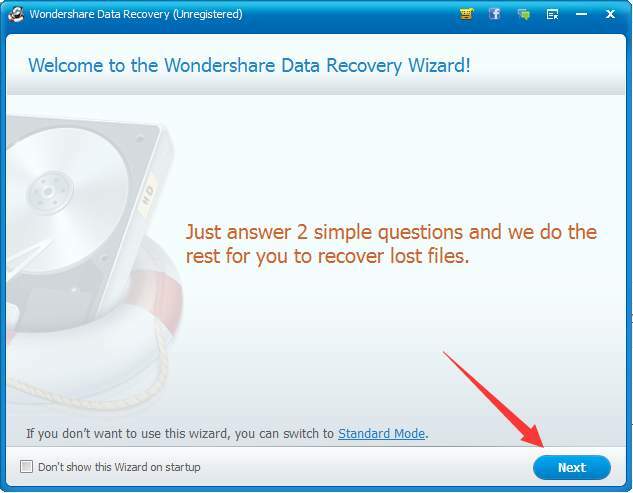 Launch Wondershare Data Recovery. 4. Select option All File Types and click Next button. 5. Click Browse button to choose the SD card reader drive (In my case, I choose G:\ drive.). Then click Next. 6. Click Start button. Enable Deep Scan is selected by default. 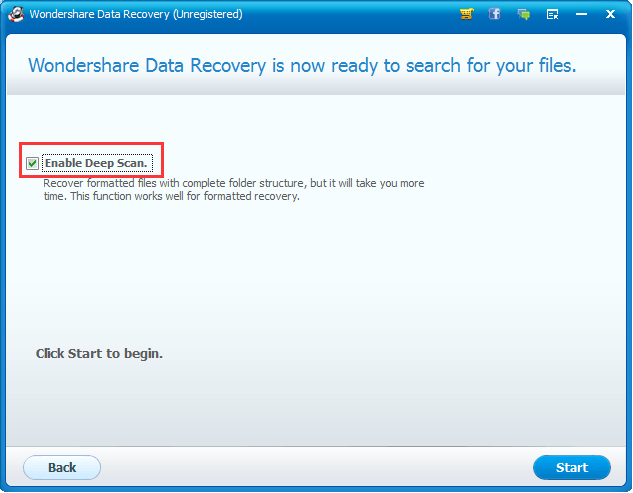 Then Wondershare Data Recovery will start searching in the drive to detect deleted data. The process might take you a few minutes. Please be patient. 7. In the left pane, under File type, expand categories and select the file type of the deleted files. Then you will see all deleted files in this file type in the right panel. 8. Select the files that you wish to recover and it will appear in the right panel. Then click Recover. Note you need to upgrade to the PRO version to finish the recovery. 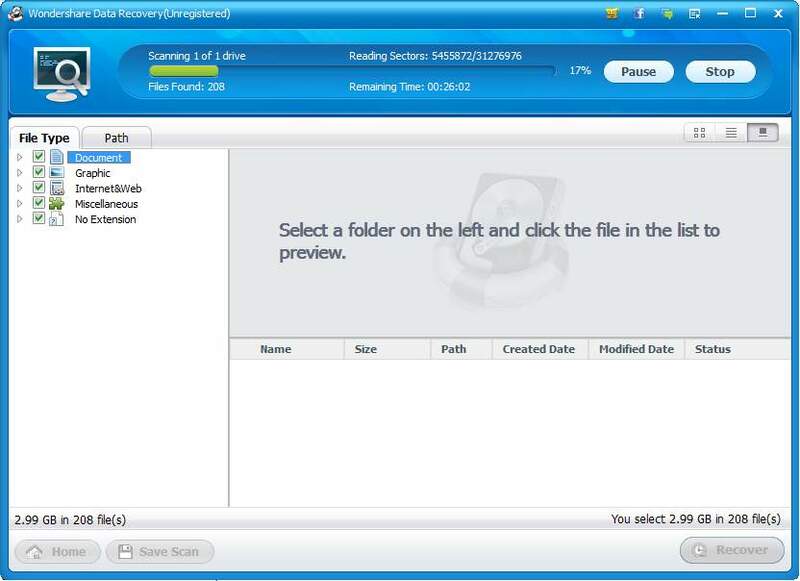 Wondershare Data Recovery PRO provides 30-day money back guarantee. If you are not satisfied with the product, you can ask for a full refund. Click here for more purchase details. As you can see, the steps to recover deleted files from SD card are very simple. Stop wasting on searching for solutions. Recover the delete files right now.